The support I receive is life-changing. A trained counsellor spends time with me, demonstrating the exact positioning needed to get a good latch. She checks how Rosa is feeding, reassures me that she’s healthy, and tells me to come back to the support group whenever I need to. It takes some time, but after a few more weeks, breastfeeding is second nature for both of us. I breastfed Rosa for one year – before she chose to give up herself. I am one of the lucky ones. But I couldn’t have done it without the help of a specialist breastfeeding counsellor. According to the World Health Organisation, only 40 per cent of infants under six months of age are exclusively breastfed globally. And if breastfeeding were scaled up to near universal levels, about 820 000 child lives would be saved every year. But unfortunately, many new mums, especially those living in poverty, don’t have access to the knowledge or support they need. A lack of awareness in countries like Zimbabwe, often means that mums like Unity try to give their babies food before they are six months old. CAFOD is funding a project that trains older mums in Unity’s community in breastfeeding, weaning and nutrition so they can set up support groups for new mums. The benefits of breastfeeding are undisputed. Research proves that it is especially critical during the first six months of life, helping prevent diarrhoea and pneumonia, two major causes of death in infants. And mothers who breastfeed have a reduced risk of ovarian and breast cancer, two leading causes of death among women. Many new mums like me and Unity blame themselves when they are struggling to breastfeed. And without help, it’s so easy to lose confidence and look for alternatives. And in the poorest countries – alternative food can damage a child’s health for life. But for many of us, breastfeeding is a skill that needs to be learned. And we need a good teacher. But there are so many more new mums that need our support. What can you do in Lent to help CAFOD? Thank you to everyone who has donated to the Lent Appeal. Your gifts will change lives around the world. And if you donated between 13 February and 12 May, the UK Government will double your donation, giving twice the number of children the opportunity to grow up healthy and strong. 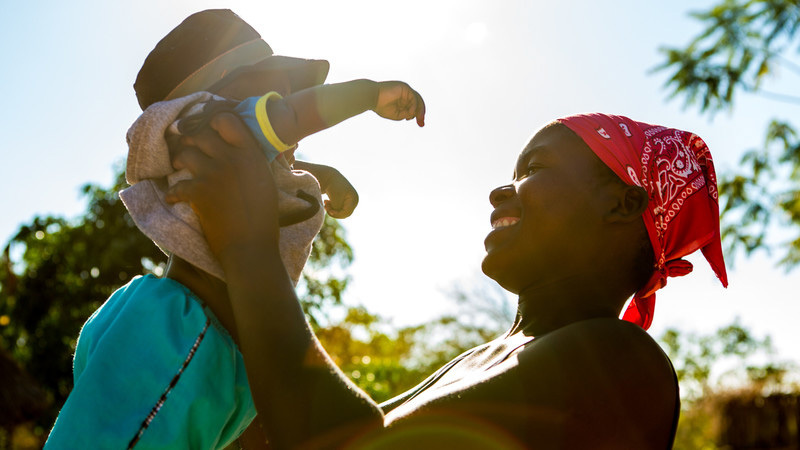 You can still Donate to CAFOD’s Family Fast Day Appeal today to help more new mums like Unity get the help they need for their children to thrive.